This program takes you to a traditional Finnish sauna by the lake near Helsinki. 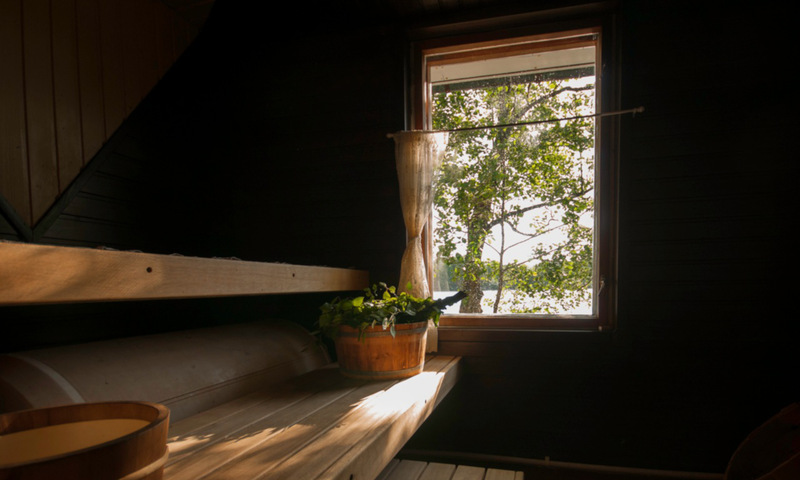 Sauna by the lake is a not only a Finnish dream, but also an essential part of the way of living in Finland. If you want to understand Finland and its people, getting familiar with sauna is a good starting point. For centuries, sauna has been a place for physical and spiritual cleansing, for getting bare in all senses of the word, and entering the core of humanity. This all-inclusive sauna program takes you to a Finnish lakeside sauna by Nuuksio National Park, exceptional nature sanctuary, close to Helsinki. We will pick you up from Helsinki city centre and take you with a minibus to sauna in Nuuksio. Before sauna there is time for outdoor activities; forest walk or rowing a boat. Wintertime there is possibility to make a walk in snow-covered forest or over the frozen lake with snowshoes. We will warm up sauna together and you will learn about Finnish sauna traditions. When sauna gets heated you can sit down by the lake and experience the beauty and the silence of the nature. The gentle heat of traditional Finnish sauna brings pleasure, peace and relaxation. Sauna has many health effects; it relaxes the body’s muscles, improves circulation, relieves stress and improves well being. After the heat of the sauna you can refresh in the cooling water of the lake, wintertime even try ice-swimming. After sauna you can enjoy food prepared by the open fire.You can select from Finnish sausage menu or more extensive salmon menu. Fresh coffee made on open fire and a dessert with wild berries from the Finnish nature is a delicious ending for your sauna experience. And we will bring you back to Helsinki City Centre clean, relaxed and empowered. Duration: 6 hours: activity 4 h + transportation 2 h. Private trips include pickup from your hotel or cruise ship. If you want to stay overnight in Nuuksio, read more about our Lakeside Cottage Experience. We go through all the necessary safety procedures in the beginning of the program. Please, get acquainted to safety and general instructions for day tours. After receiving your booking we send you a confirmation mail. In the sauna women and men can bathe same time and everybody wear swimsuit by default. On a private tour the group can decide its own policy.